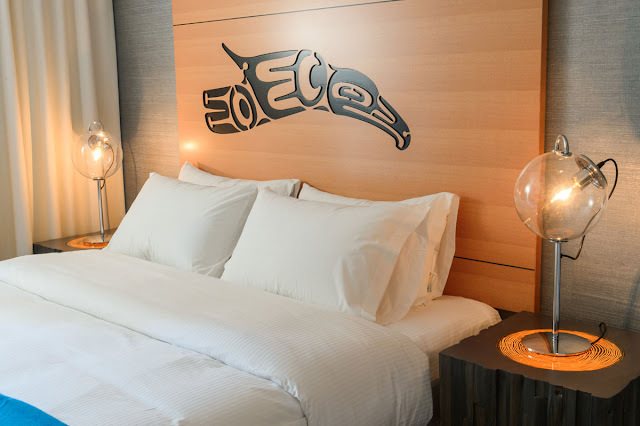 Tucked cozily away in Vancouver's Downtown Eastside neighbourhood sits a building that is hard to miss. 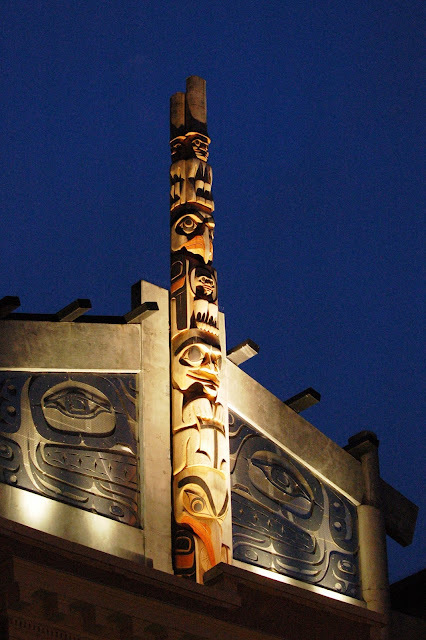 With ornate aboriginal designs and a majestic totem pole on its roof, this cultural oasis is different from anything else in the city — or even the country, for that matter. 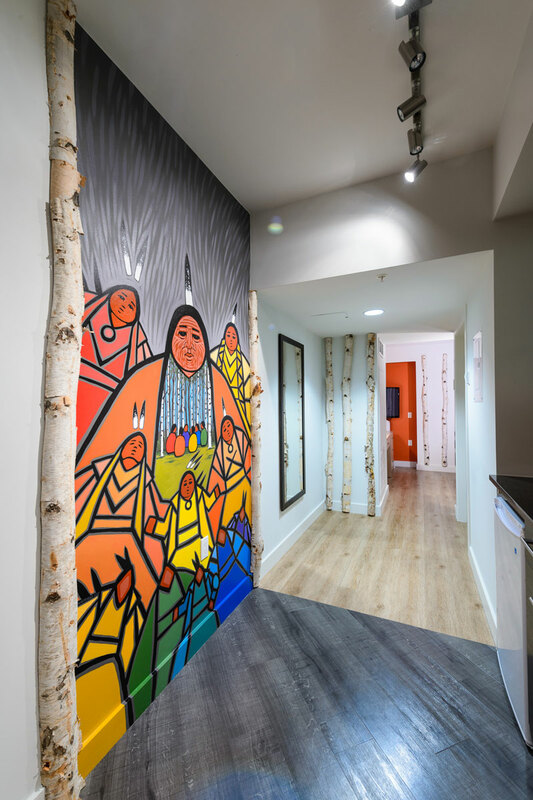 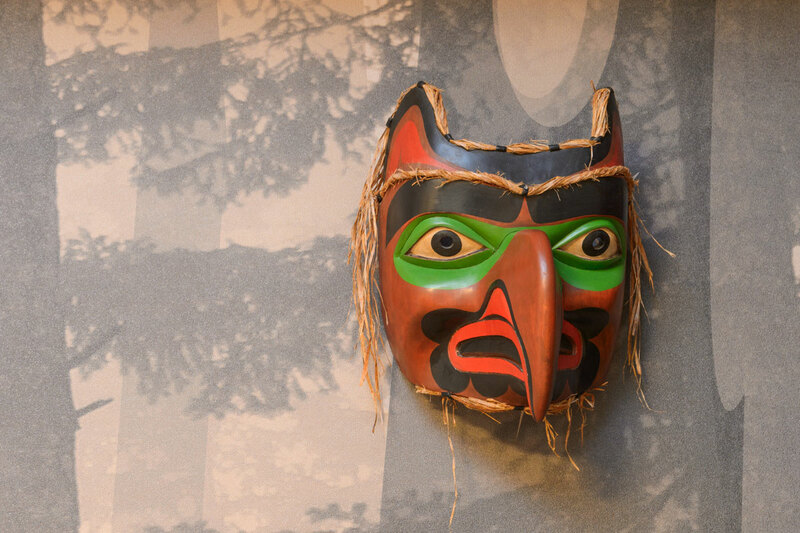 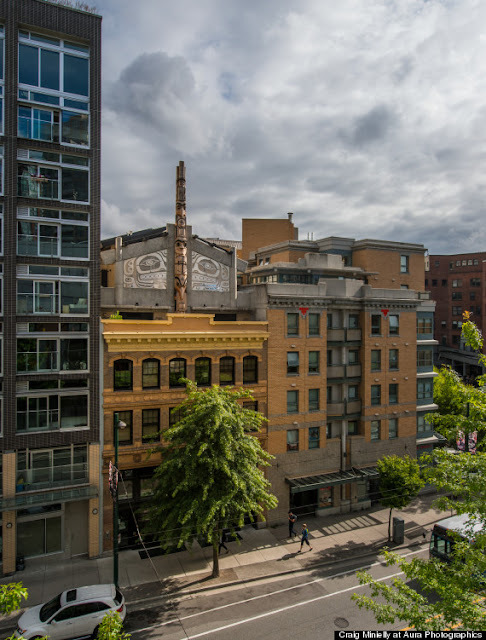 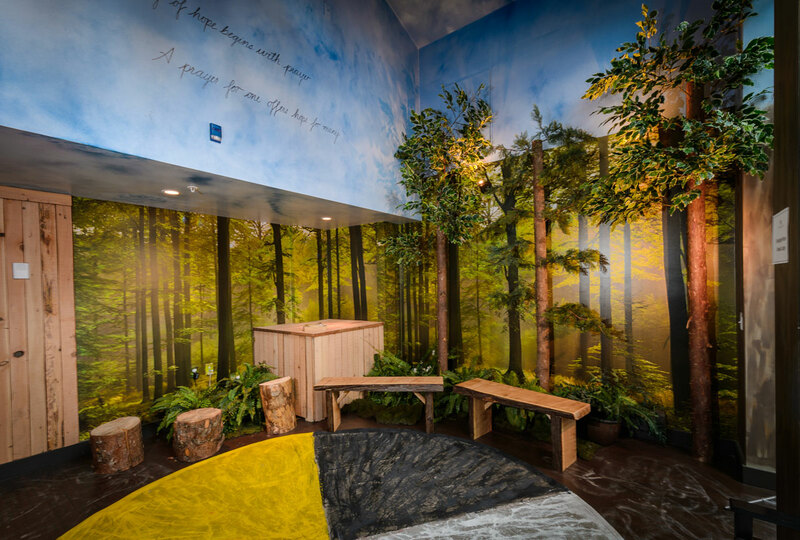 The Skwachays Aboriginal Hotel & Gallery opened its doors in August, showcasing aboriginal culture to the city — and the rest of the world. 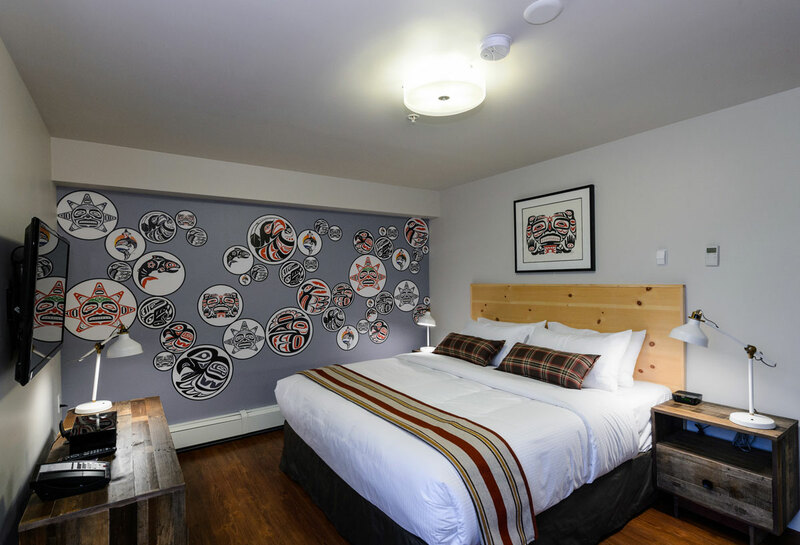 "There are so many different layers for how this positively affects the aboriginal community, but I think for the greater community at large, they get to have a great experience and exposure to aboriginal art," Maggie Edwards, Skwachays' general manager, told The Huffington Post B.C. in an interview. "It's such a beautiful place to stay in the hotel; we are getting tremendous exposure to the greater, wider community of Vancouver and travellers in general. 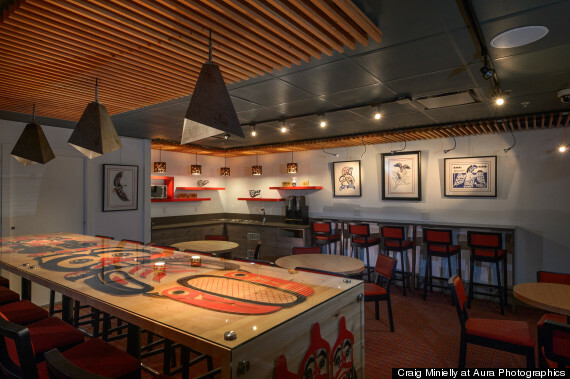 I think it's just a win-win on so many levels." 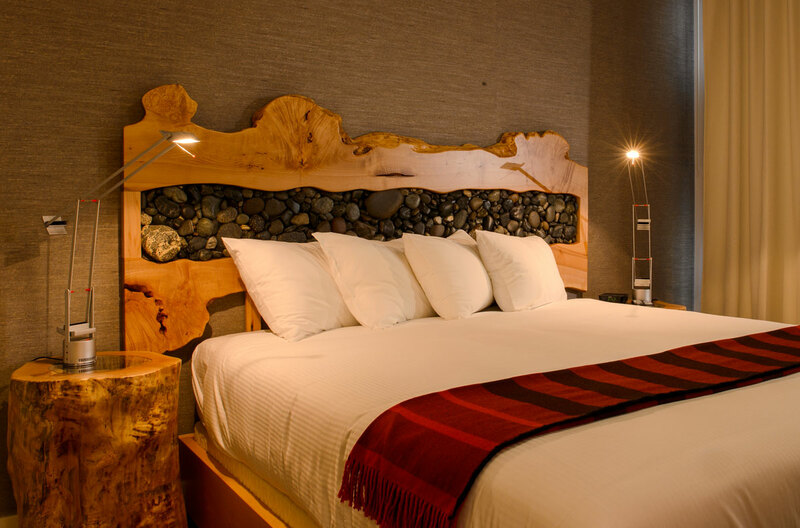 Skwachays is more than a good-looking boutique hotel; it has two additional functions. 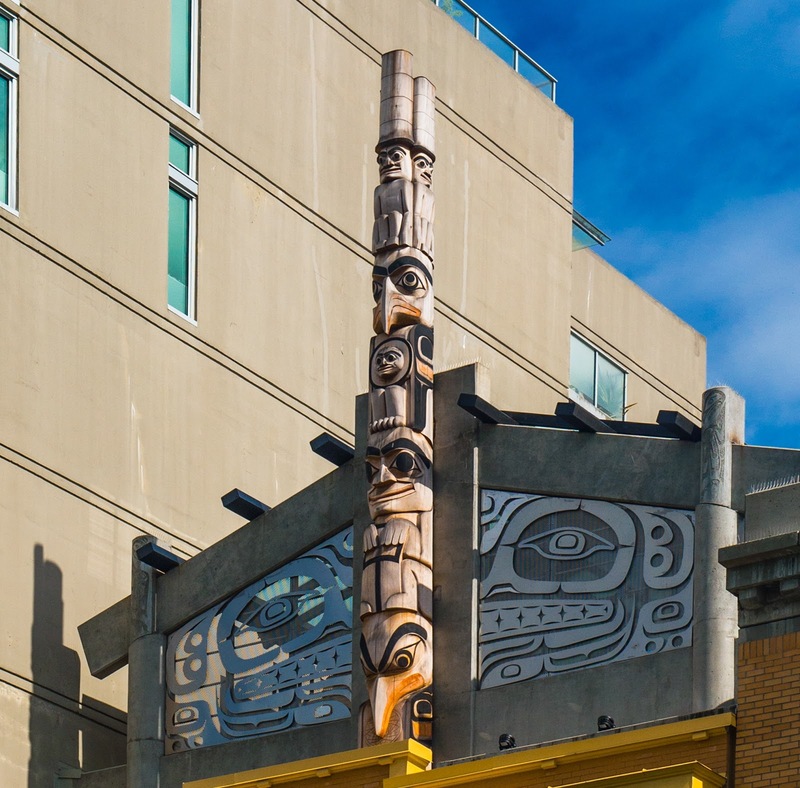 First, 24 units are saved for low-cost aboriginal artist housing; the lower level is being renovated into a workshop. 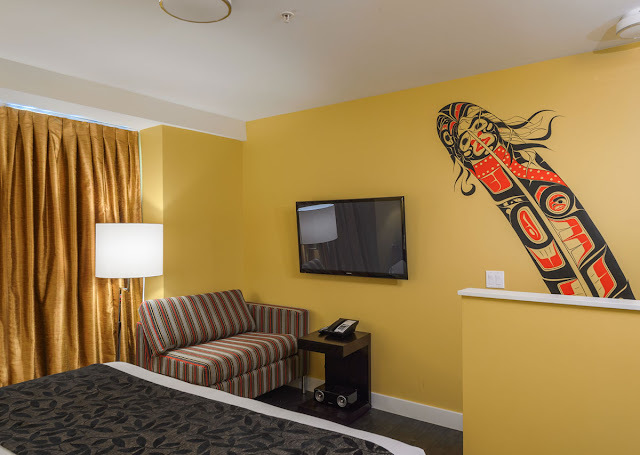 Artists live at Skwachays on a three-year contract, during which they produce pieces that are sold in the hotel's lobby gallery. 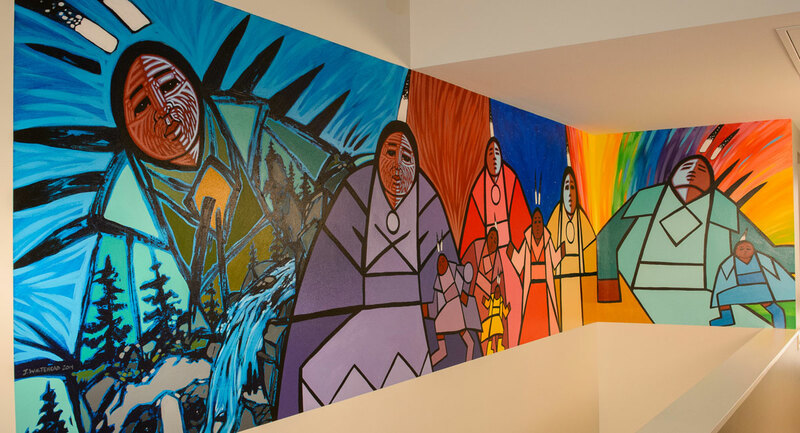 Skwachays' goal is to help the artists become financially independent by the end of their contract. 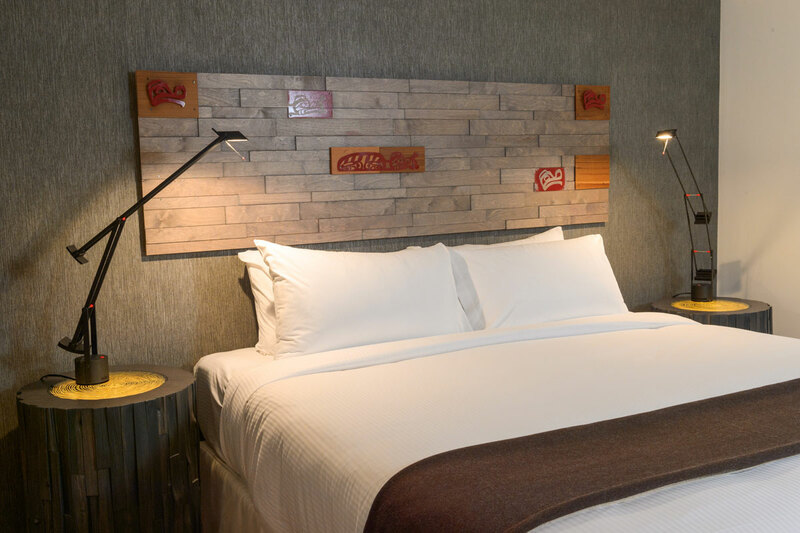 Second, the remaining 18 rooms are designated as the hotel, each uniquely designed by one of six aboriginal artists. These rooms, as well as the gallery sales, fund the artist housing, resulting in a self-sustaining social enterprise. 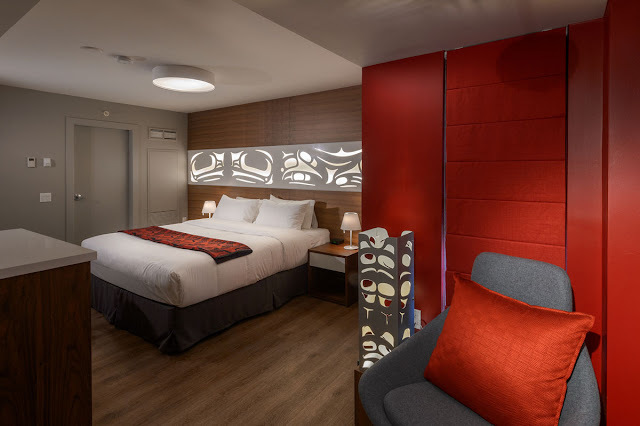 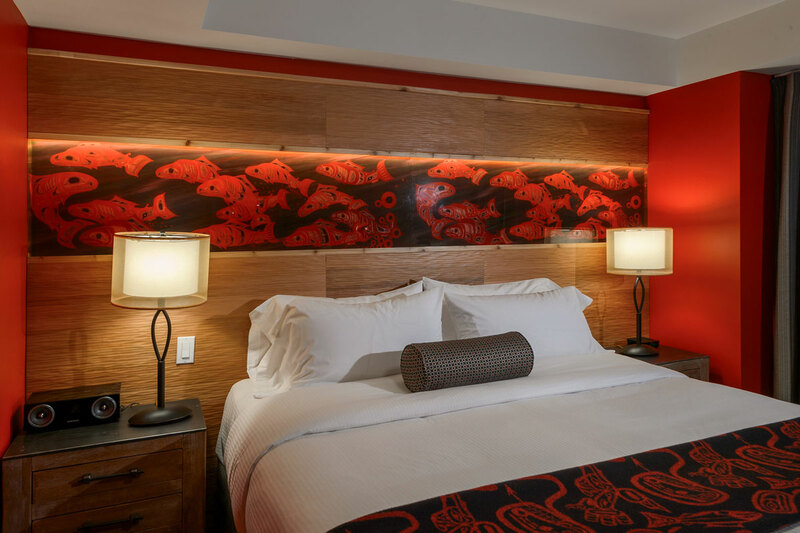 Aside from the sheer beauty of its design, hotel guests can immerse themselves in aboriginal culture. 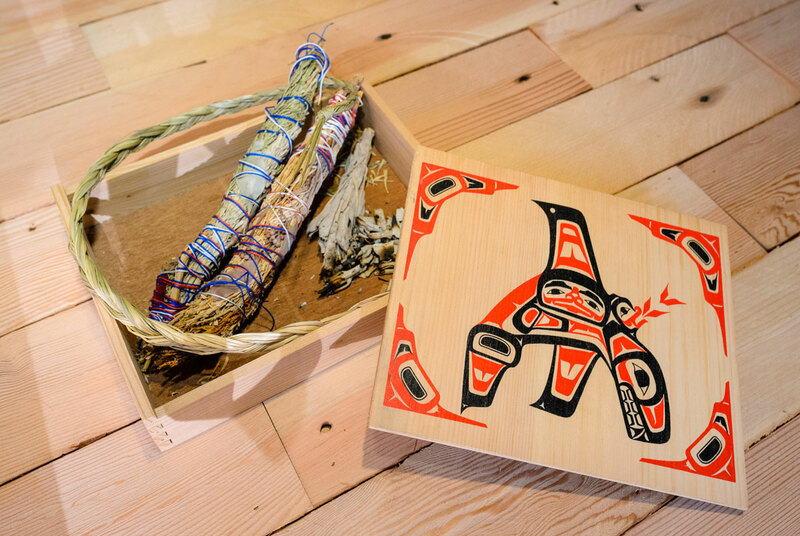 All food is produced by a local aboriginal catering company. 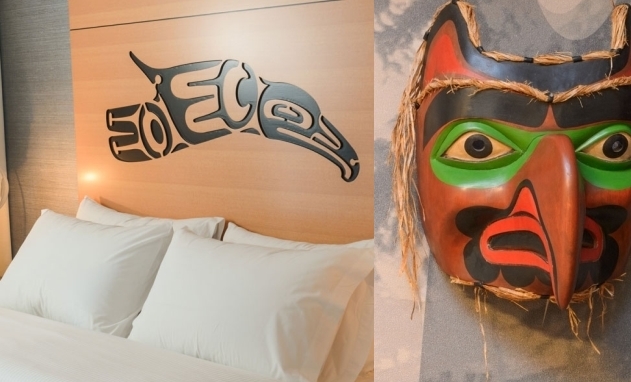 Responses to "Fascinating First Nation Art Hotel Is Unlike Anything Else In Canada"